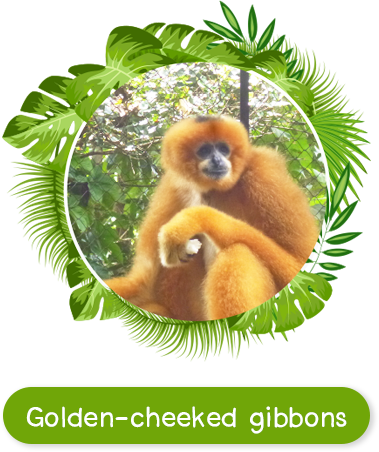 Gibbons are rare, small slender, tree-dwelling apes. These acrobatic mammals endemic to the dense forests of Southeast Asia. They are perfectly adapted to life in the trees and rarely descend to the ground. They have strong, hook-shaped hands for grasping branches, comically outsize arms for reaching faraway limbs, and long, powerful legs for propelling and gasping. When gibbons walk, whether along branches or in the rare instances when they descend to the ground, they often do so on two feet, throwing their arms above their head for balance. 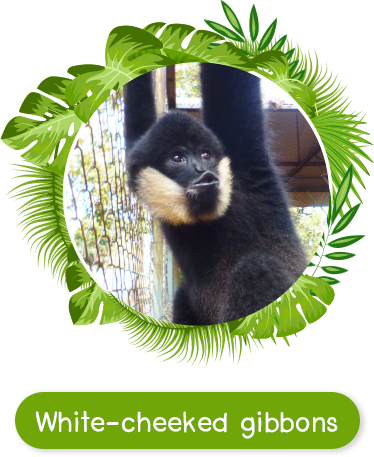 These gibbons are active during the day, which is mostly spent foraging for food and feeding. Primarily frugivorous, they will also eat immature leaves, flowers, stems, shoots, buds, insects, eggs and the occasional bird. 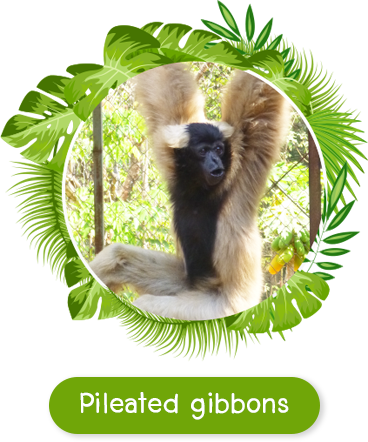 Gibbons are monogamous and live in family groups consisting of an adult pair and their young offspring. Female gibbons are pregnant for about 7 months and usually have a single baby at a time; twins are rare. Babies can grasp their mother’s fur to cling to the mother’s belly soon after birth. They are weaned at about 1 year old. Young gibbons stay with their mother for about 6 years. The family will stake out a territory and defend it using loud, haunting call that can echo for miles throughout the forest. 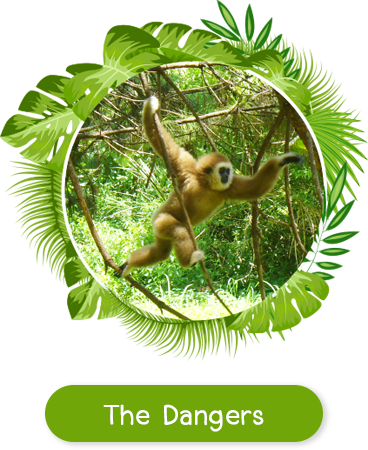 Rapid loss of habitat poses the principle threat to gibbons, placing their future in great peril. With breathtaking speed the forests of Southeast Asia are being cut down due to logging and agriculture, leaving forest inhabitants an ever smaller region in which to live. 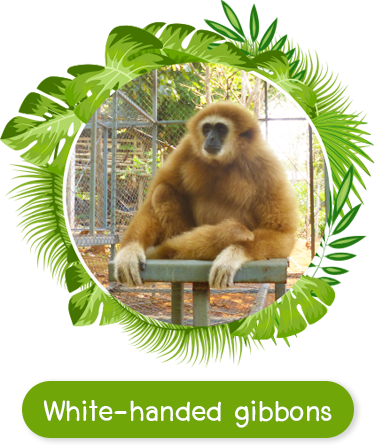 The gibbon is sometimes hunted for its meat and the capture of young gibbon for the pet trade is rampant in some countries, particularly Thailand. Frequently the mother is shot so that the young can be taken. 159 Mae Sot-Umpang Road (Route 1090), K.M. 46, Tambol Chongkab,Phop Phra District, Tak Province, 63160 THAILAND.